You store most of your valuable data (photos, videos, documents, etc.) on your computer's hard drive as a backup because there is a risk of your cell phone being stolen, reset, etc. Although the hard drive of your computer is relatively safe for backup purposes, it can also fail. If such an unfortunate incident occurs, you would want to recover your precious data quickly. Ontrack Data Recovery is one of the tools that can help you do that. Part 1: What is Ontrack Data Recovery? Part 2: Why We Need an Ontrack Data Recovery Alternative? What is Ontrack Data Recovery? Ontrack Data Recovery is a comprehensive data recovery tool that allows you to precisely and securely recover lost/deleted files. Via this software, you can recover data deleted from hard drives, USB drives, and memory cards. It is equipped with quick and deep scan features. You can choose the feature depending on whether you want to find deleted files quickly or run a more in-depth scan so that you can recover hard-to-access files. Easy to use, even for users who aren’t tech-savvy. 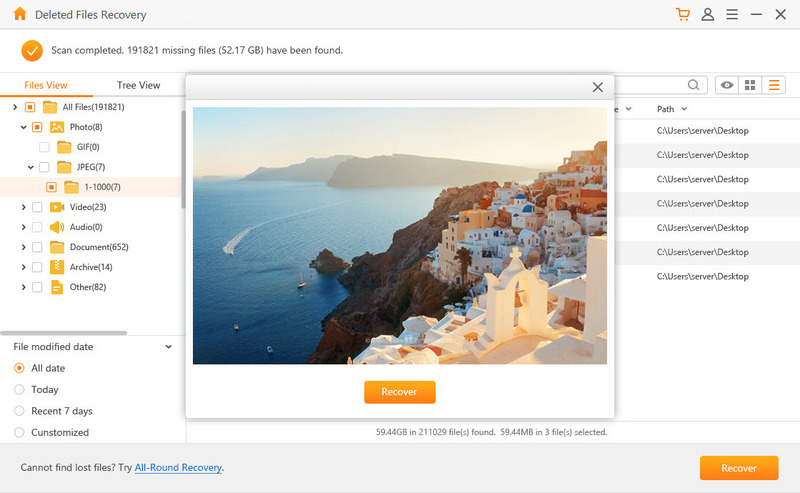 Scan and recover many types of lost/deleted media files such as photos, videos, documents, etc. Scan volume/disk to detect bad sectors. Recover deleted files from a wide range of systems, including NTFS, FAT, HFS, HFS+, etc. Although the software’s interface is user-friendly, it looks outdated. You cannot preview the recoverable files before attempting to recover them. No advanced file filters and options before scanning. Too costly($79 for one year license) as compared to many other data recovery tools available on the market. Why We Need an Ontrack Data Recovery Alternative? Although Ontrack Data Recovery is a powerful tool for recovering lost/deleted data from a variety of storage mediums, the software lacks some certain much-needed features. One important feature that this software lacks is the file preview feature. You cannot preview files before recovering them which could make selecting desired files for recovery a challenging task. Apart from this, it is relatively expensive and most users look for a relatively inexpensive yet reliable data recovery software. The successful data recovery rate is good, but there are better alternatives available. Because of these reasons and many others, an Ontrack Data Recovery alternative is needed. If you are looking for a reliable Ontrack Data Recovery alternative, then look no further than iMyFone AnyRecover. It is the best alternative because it is equipped with all the features that Ontrack Data Recovery has and then some more. The best thing about AnyRecover is that it has all the features that Ontrack Data Recovery lacks, including the file previewer. Last but not least, the software is also relatively inexpensive as compared to Ontrack Data Recovery so it is an ideal choice for anyone looking for a feature-rich and relatively inexpensive Ontrack Data recovery alternative. 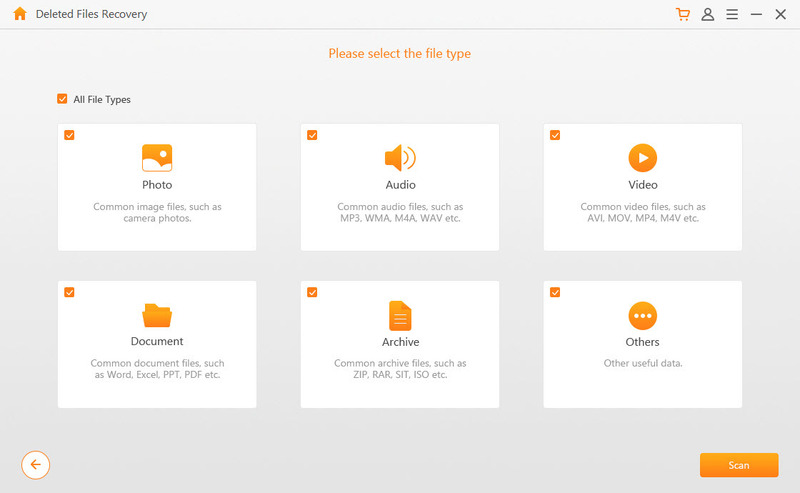 Recover all kinds of media files such as photos, music, documents, videos, etc. quickly and easily. Recover files deleted/lost due to hard drive damage, lost partition, OS crash, virus attack, etc. Recover files from a wide variety of systems such as FAT, FAT32, NTFS, HFS, HFS+, and more. Advanced, powerful, and super-fast data scanning algorithm. 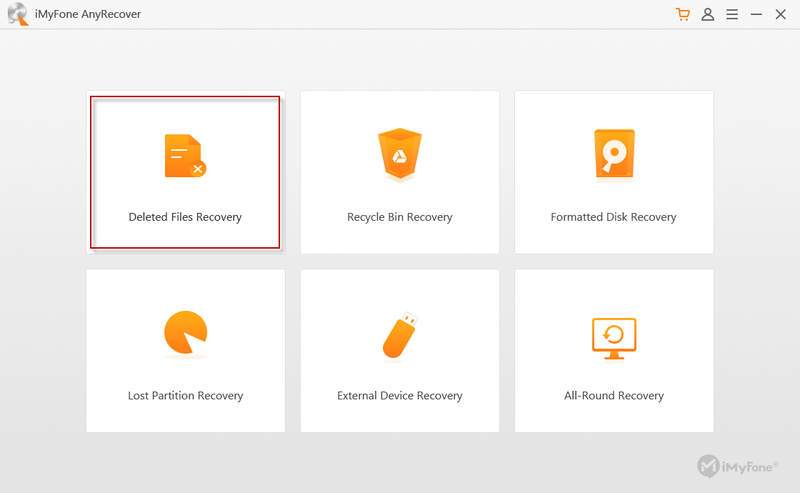 Preview the recoverable files before selecting and recovering them. Step 1: Launch AnyRecover on your PC. Step 2: Select Deleted Files Recovery mode from its main interface. 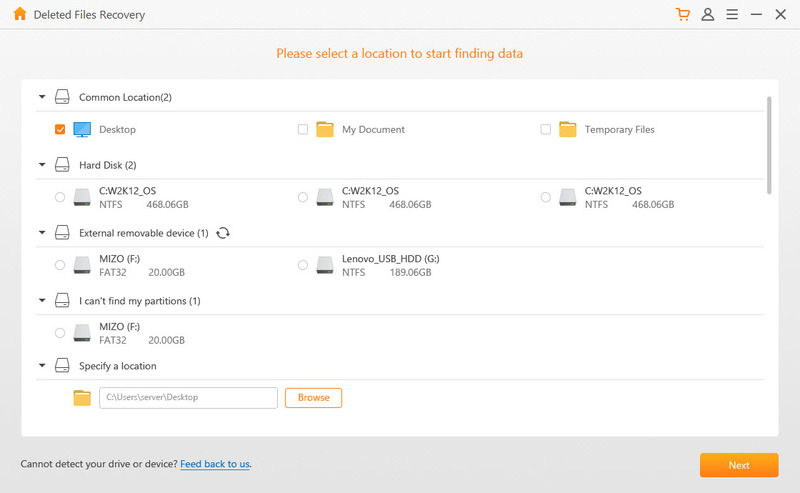 Step 3: Select a location where your files were stored before deletion and then click Next to proceed. Step 4: Now choose the file types that you wish to scan for (e.g. video, photo, archive, document, etc.) and then click the Scan button. The scanning process will begin. Step 5: Next, preview and select the files that you wish to recover and then click the Recover button to start the data recovery process.